Rules for Potters, Wedgers etc. 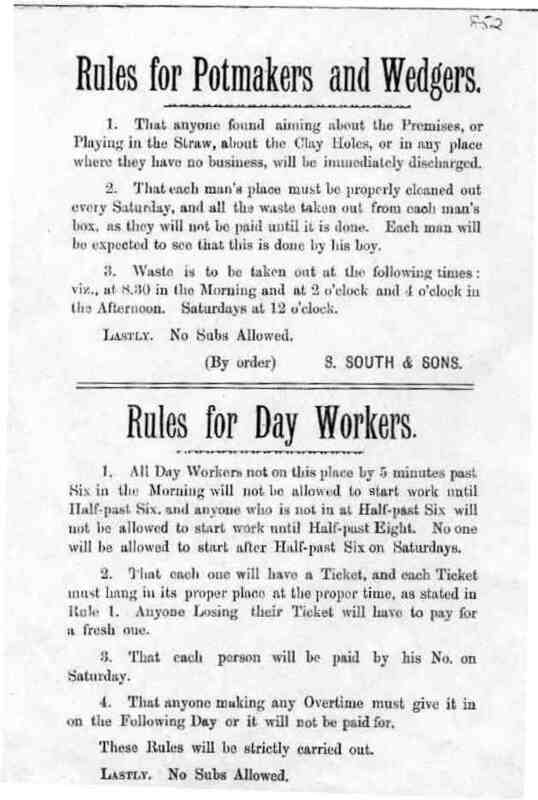 The following notice was posted at the South Pottery during the time of Samuel South(1) 1853-1919. Wedgers were the boys who formed the clay into balls for the potters - they were often the sons of the potters.